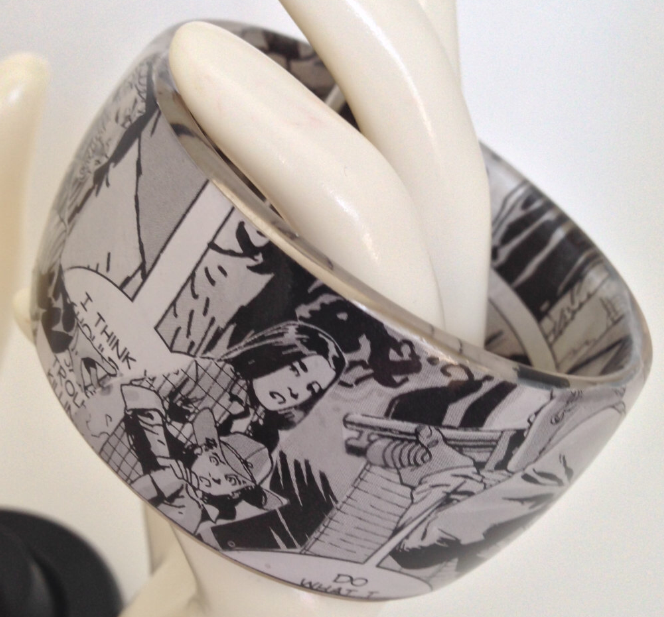 < Previous Verybangled, getting you the pressing bangle news first! I love The Walking Dead as well! It’s too long between seasons, right? I’m dying. But I read somewhere there’s going to be another Walking Dead show. Same universe but different group of people! That’s just like what they’re doing for Breaking Bad (My ALL TIME favorite show) I am patiently awaiting Negans arrival. I don’t know how far you are in the comics but in the previews for season 5 it definitely looks like a scene in the comics that is bad news for a character. I’m not far at all! We have a local comic book store where I picked up the first couple but I want to read Fall of the Governor part II first. I’ve read enough online stuff tho to anticipate some cannibals this season. 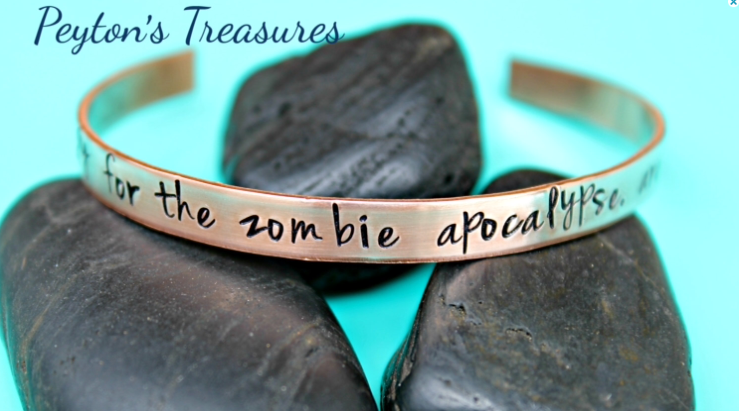 Love this collection of zombie jewelry! Cannot wait for oct 12! The jewelry is cool, love the bangle. My favorite, though, is your is she/she not pregnant explanation. Too good to pass up! I just wonder if any of the writers thought about it. Then again, maybe the writers were all male–not to disparage, of course! Love the math! Thanks! Though to some men’s credit, I think these must be male writers without families. The guys I know with kids (or trying for kids) tend to understand biology. The “magic” of life! 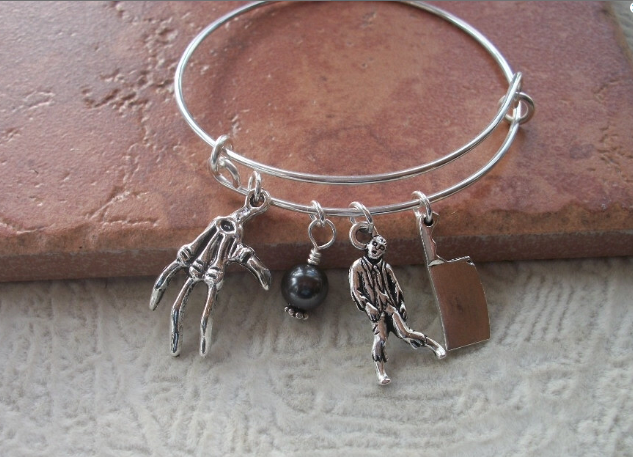 That charm bracelet is tooo cute! Gah! Yeah! Little zombie man dancing along is pretty cute.